Here at Comic Con there are some people who are treated like gods. Joss Whedon is one of these people. 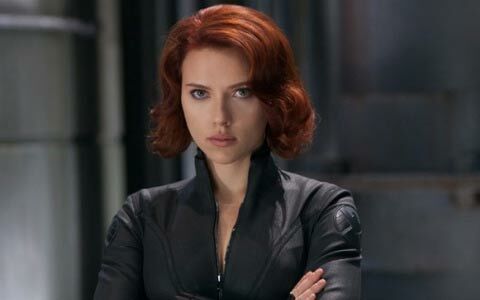 Responsible for fan favorite television shows and movies like Buffy The Vampire Slayer, Angel, Firefly, The Avengers, the filmmaker is absolutely beloved by geeks and there is no greater geek haven than San Diego in July. But just how beloved is he? Let’s put it this way: this afternoon he was given a full hour in the convention center’s second largest auditorium to just talk with fans and answer their questions. I was one of the lucky people to be sitting in the room at the time and I was absolutely fascinated by everything he had to say. Over the course of the hour he spoke on an incredible number of subjects, from strong female characters to politics, and so I’ve done my best to organize everything he had to say into ten categories for your reading pleasure. Check it out! 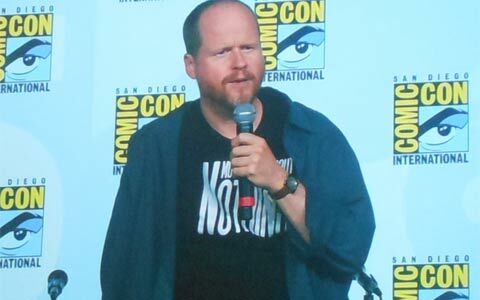 We’ve already written about this in our TV section, but one of the most thrilling parts of the panel was when Whedon announced that he and his brothers Jed and Zack and Maurissa Tancharoen have reunited and are actively planning a sequel to their 2008 webseries Dr. Horrible’s Sing-Along-Blog. Apparently they have already begun developing songs for the project and while they’ve been working on it over the years they are now seriously meeting about how to move forward with it. 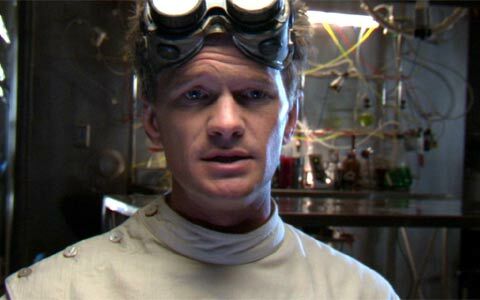 In other Dr. Horrible news, the event ended with the filmmaker announcing that next season the web-series will be making its television debut on the CW. So keep an eye out for more news about that! 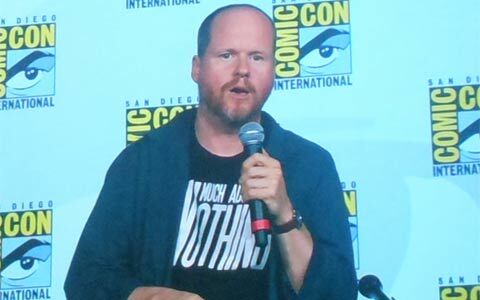 A few months ago it was revealed that following production on The Avengers, Whedon was working on his own private adaptation of William Shakespeare’s Much Ado About Nothing, and today on stage, while wearing a crew shirt with the title in big bold letters, he announced that the movie is done. They are still working on figuring out how to distribute the movie and are potentially bringing it to the festival circuit. 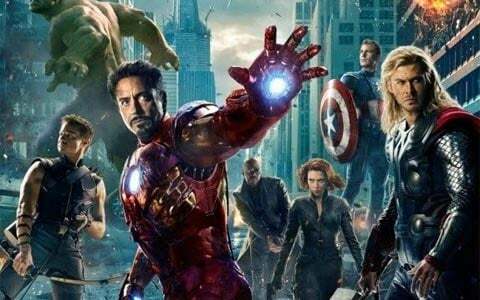 The movie is filmed in one location (Whedon’s house, as a matter of fact), is in black-and-white, and reunites him with Amy Acker and Alexis Denissof, but the really cool thing about the movie is that it is the first time that Whedon has written a musical score. “If it’s terrible, then it was my first. Leave me alone,” he said on stage, smiling. With everyone still buzzing with excitement about the potential second season of Dr. Horrible, Whedon was asked if there was any chance he would ever be interested in crafting a stage musical. And while Whedon said that he would absolutely love the opportunity to do something like that, scheduling would be an absolutely nightmare. Referring to the stage as one of the “largest and most difficult ventures” a writer/director could take on, he said that he is Dying to do a stage musical but doesn’t know how he could work out the timing. 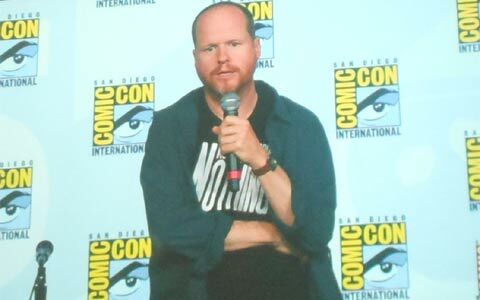 As for Whedon’s personal experiences, he recalled working on the early seasons of Buffy when the heroine first slept with Angel and turned him evil. 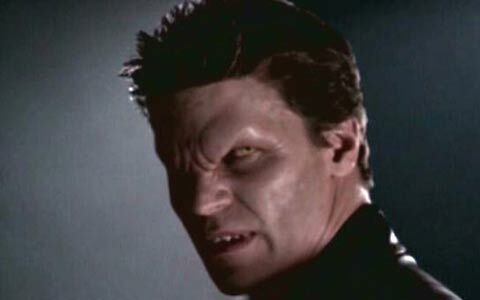 In the scene, Angel acts like a cad, blowing Buffy off right after he took her virginity. After writing the scene, Whedon had to drop his pen and step away from his desk as he wasn’t aware he could write something so evil. 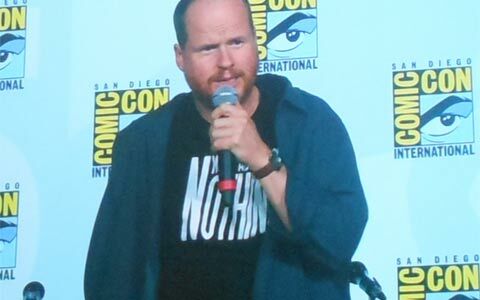 Joss Whedon is synonymous with female empowerment. Buffy is one of the greatest female characters in television history due to her incredible independence and strength, and his other works, such as Firefly, Dollhouse and The Avengers shared this quality. But the filmmaker has still always found resistance from the industry. Apparently after the third year of Buffy Whedon was having discussions about an animated series based on the character, but was told that the show couldn’t get made unless they were to have a male counterpart who was just as strong and cool. He did acknowledge that the tide is turning, however, citing the success of The Hunger Games and commenting on the amazingness of Jennifer Lawrence. SPOILER WARNING FOR THOSE THAT HAVEN'T SEEN CABIN IN THE WOODS: As great as The Avengers was – and it truly was great – we can’t forget the other brilliant film that Whedon gave to us this year: The Cabin in the Woods. The movie has one of the greatest third acts I’ve ever seen, filled with every kind of monster you can think of, but, as one audience member pointed out, there is an omission. The white board shown early in the film has a listing called “Kevin” that is never explained, and apparently it’s because it was something that ended up on the cutting room floor. Whedon said that Kevin was a normal looking guy with a name tag on, but when he got around to killing it was a total bloodbath. 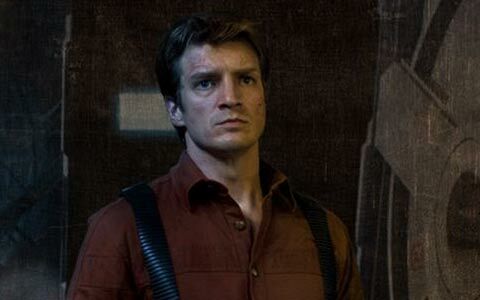 Drew Goddard, who co-wrote the script with Whedon and directed, fought desperately to keep the scene with Kevin in the movie, but it ended up having to be scrapped for timing and pacing.